The Food & Beverage Manufacturing industry consists of many different sectors such as meat processing, dairy product manufacturing, wineries, and dog and cat food manufacturing. These sectors operate under strict guidelines that require organizations to operate safely with full traceability. 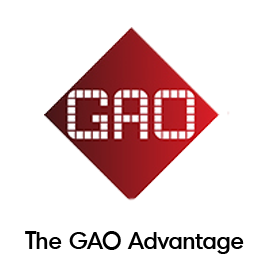 GAO RFID’s suite of RFID solutions provides a way for these organizations to both ensure quality and improve product safety. Every sector of the Food & Beverage Manufacturing industry is under pressure to ensure a safe food supply; from tracking raw materials to managing inventory during the manufacturing process and then delivering finished goods the consumer market, there are many challenges that every organization in this industry faces. Both IT assets and manufacturing equipment are crucial to the operation. It is important to track IT assets to know who is using them to ensure efficient asset usage and loss prevention. As well, most manufacturing equipment need to serviced and maintained rigorously to maintain optimum operation. Not having an automated way to accomplish these tasks creates a heavy burden on overall company expenses. All IT assets and manufacturing equipment can be affixed with RFID tags, allowing for an automated way of tallying asset usage and maintenance schedules. Quality is the number one priority for all food and beverage manufacturers. To ensure quality, organizations rely on different variables such as its origin/traceability, temperature, humidity, perishability, and the prevention of imitations. Without an automated method of tracking and logging these types of information, it is difficult for any manufacturer to ensure product quality. RFID tags customized for any food/beverage item can be used to help monitor and track manufacturing items. These tags can be applied to different demands, from monitoring temperature and perishability to identifying the origin or detecting imitations. Success in food and beverage manufacturing depends highly on operational efficiency. To effectively manage personnel time and attendance and optimize workflow at each stage of the process are abilities sought after by every operations manager overseeing a shop floor. By assigning RFID badges to employees, time and attendance can be automatically tracked. For further insight, you can review reports that show time spent by employees at each station, giving you a clear picture of the possible deficiencies in your current workflow. Manufacturing facilities are large, multi-zoned areas that need to be monitored and secured. Access to certain areas need to be restricted and allow only authorized personnel access. This helps keep the facility safe and deter any tampering with the product during the manufacturing process. RFID badges given to personnel and visitors allows you to control what zones you wish to grant users to. Any access activity is logged into a database and can be reviewed whenever security audits are conducted.